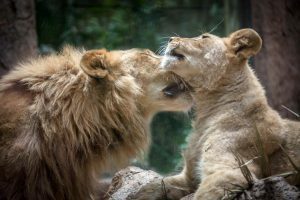 Once again, the anti-zoo activists apply one of their established schemes in order to gain popularity, media attention and, ultimately, donations. This time, as always without any justification whatsoever, they have decided to speculate about Ula’s health by using some photos, without any type of medical diagnostic data. On top of that, none of these self-proclaimed experts has even a minimal knowledge of veterinary medicine. Suffice to say, it would be disturbing enough if veterinarians issued their diagnoses based solely on photographs, but that persons without anyveterinarian knowledge nor experience presume to do so, that is outright ridiculous. 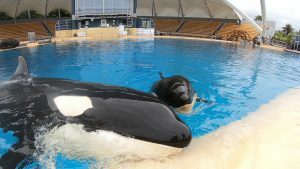 The accusations of these individuals, whose sole interest it is to get hold of all orcas and have them under their own control in an alleged “sanctuary”, are absolutely absurd and do not have any grounds at all. 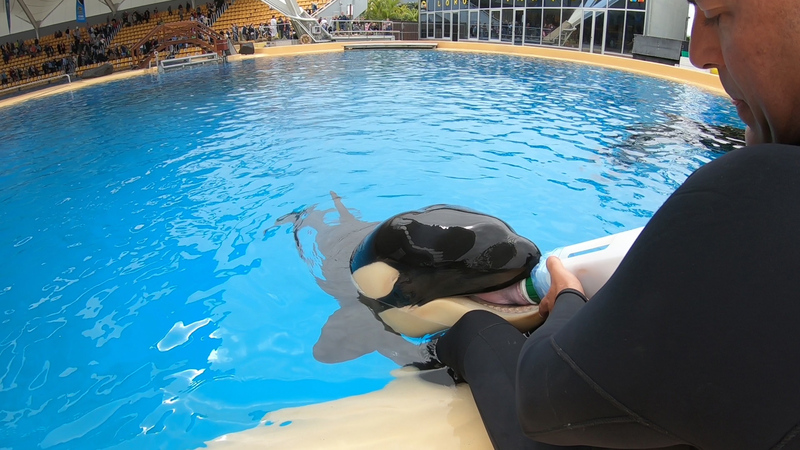 Ula is in perfect medical conditions as confirmed by theteam of veterinarianexperts at Loro Parque that make their conclusion based on medical diagnostic information. The same conclusion is reached by the several independent, highly experienced veterinarians who have years of experience in orcas and dolphins care. 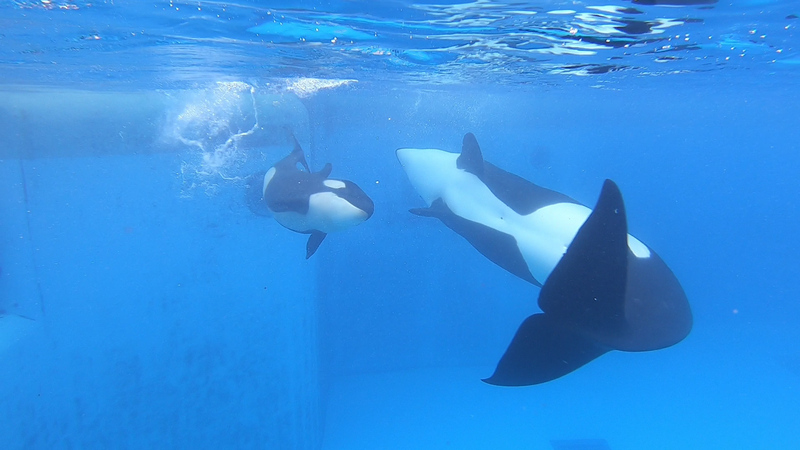 It is simply paradoxical that those alleged animal lovers, who continuously proclaim that orcas should be moved to a sanctuary, in four years have been unable (and after spending almost one million dollars) to even find a place for this this hypothetic sanctuary. This shows very clearly that an orca sanctuary is merely an illusion, since the localisation would be a first step only – and surely it would be the easiest one. Anyone can imagine what would happen in the moment in which they have to face the enormous investments, engineering problems, logistics and animal wellbeing associated with closing a bay of the sea. Meanwhile, there remains no doubt that criticising zoos without proof and speculating about the health of our animals is still a very good business that helps them to gain donations. 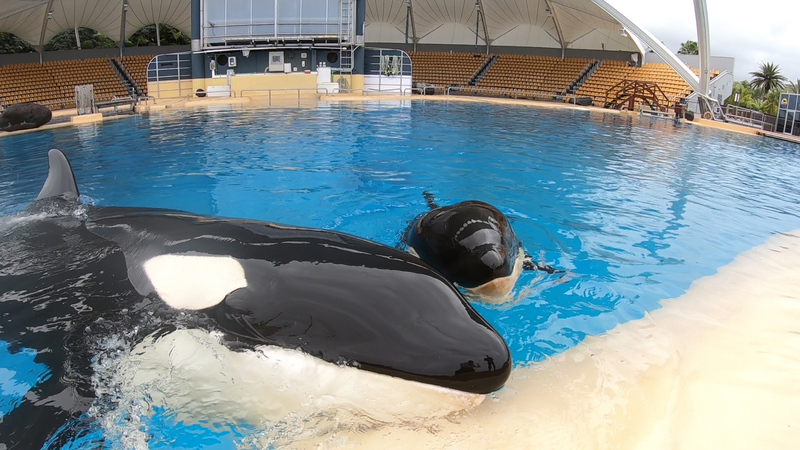 The only certainty so far in this absurd story is that the alleged orca lovers, who seem so preoccupied for Ula’s health, at no time approached Loro Parque to simply ask about her condition. Loro Parque, Siam Park, Poema del Mar, the Loro Parque Foundation, the Hotel Botánico & Oriental Spa Garden and Brunelli’s Steakhouse are present, once again, at the prestigious International Tourism Fair FITUR, which is held in Madrid in order to publicise the new offers available at its leisure parks, among other firsts. From January 23 to 27, the company’s stand – 9D02 – can be visited in Pavilion 9, where all kinds of information, as well as news and photographs, can be found. 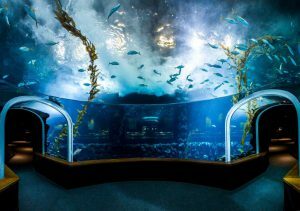 Among its main attractions are the impressive and educational presentations of Orcas and Dolphins, as well as the legendary Parrot Show, in addition to the shy Red Pandas, the majestic Lions of Angola, or the largest and most diverse parrot reserve in the world. New this year are the Pygmy Hippos, whose new home adapts perfectly to the needs of their species and the charismatic Ring-Tailed Lemurs, so beloved for their cinematographic trajectory. Also new is the Zen Garden exhibition, a space inspired by Japanese gardens and the majestic mountain ranges of Asia that can be seen in the AquaViva exhibition, home of the most spectacular jellyfish. For Loro Parque, these recognitions imply a responsibility and it therefore has a clear mission for the protection of the environment. Thus, as a wildlife conservation centre, and through the Loro Parque Foundation, it has managed to save nine species from imminent extinction. 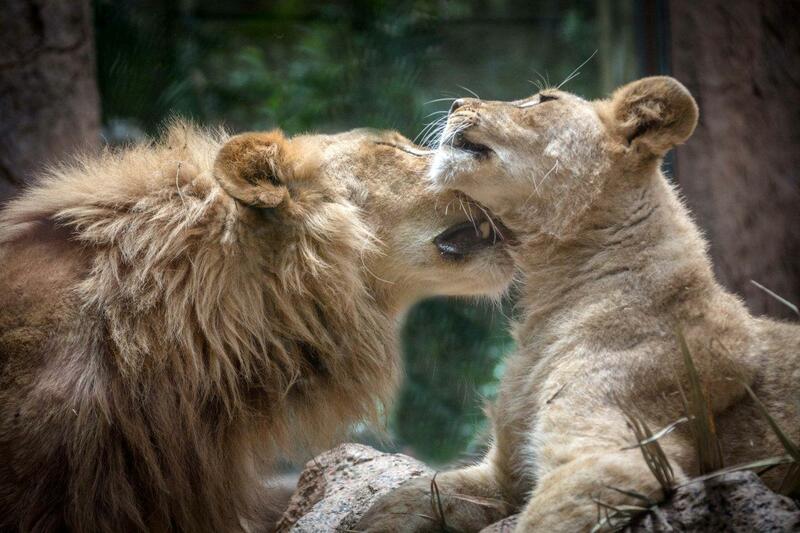 Also, as part of this commitment, the Park has implemented in 2018 a strategy of elimination of single-use plastic, becoming one of the first zoos in Europe to replace plastic water bottles with others that are biodegradable and can be turned into compost, thus ceasing to generate single-use bottles as waste products. 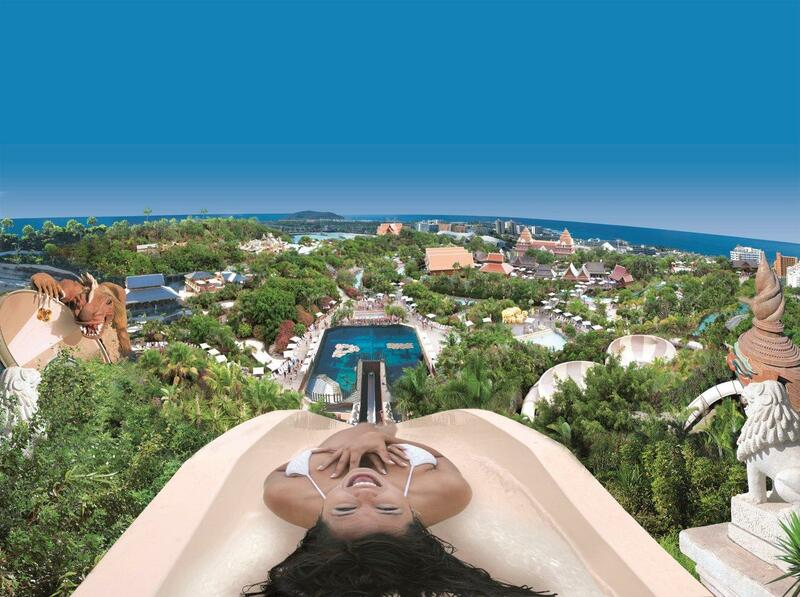 There is no doubt: Siam Park is the best waterpark that exists on the face of the earth, and it’s in Spain. This has been confirmed by the Travellers’ Choice Award, which Siam Park has received for five consecutive years thanks to the positive ratings of its visitors on the prestigious travel portal TripAdvisor. Siam Park is the only park that has achieved this distinction so many times in a row, and in fact the only one that has received this award since TripAdvisor inaugurated the Waterparks category five years ago. This repeated recognition is undoubtedly the result of constant innovation and reinvestment of the Loro Parque Company in all its projects, with which it always pursues excellence. In addition to being a benchmark in the TripAdvisor awards, it also has international recognition from organisations such as the leading publication and a reference point according to the assessment of theme parks Kirmes & Park Revue, which has honoured Siam Park with the European Star Award for the Best Water Park in Europe for the sixth consecutive year, among many other awards. Siam Park celebrated its tenth anniversary in 2018 and has done so in a big way with the inauguration of two new and spectacular attractions. The first, Patong Rapids, is a new initiative by Siam Park that breaks all the moulds, surpassing the already incredible Mekong Rapids. The new ride is 235 metres long, including an area of complete darkness. With a capacity of 1,200 people per hour, it reduces to a minimum the waiting time to be able to enjoy to the maximum its incredible curves and counter-curves, and includes impressive disc-floats that allow you to experience a unique sensation of speed and adrenaline. Poema del Mar has a firm commitment to innovation, biodiversity conservation and excellence in sustainable tourism. It’s no coincidence that the authorities of the Canary Islands consider it “of strategic interest for the region” which reinforces the promotion of Gran Canaria, and the entire archipelago, as one of the best tourist destinations on an international scale. Its numbers and results speak for themselves: more than US$19 million invested in over 160 projects on five continents, and nine species of parrots saved directly from imminent extinction. 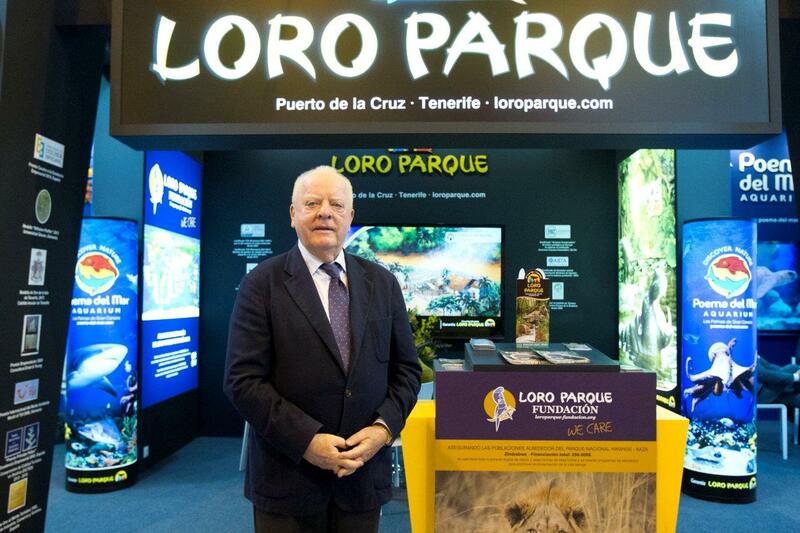 In addition, the Loro Parque Fundación maintains a firm commitment to the marine biodiversity of the Canary Islands and dedicates a significant part of its resources to its protection through projects with the Loro Parque Foundation and the Poema del Mar aquarium, which in 2017 began its successful enterprise in the city of Las Palmas de Gran Canaria. It recently received the TUI Holly 2019, Condé Nast Johansens 2019 award for the best hotel with a Spa in Europe and the Mediterranean, and HolidayCheck 2019, prizes which have arrived to tag onto an already extensive list of recognitions. Thus, the Hotel Botánico has seen its position strengthened once again, as a safe and quality choice when spending a holiday in Tenerife. Faithful to its commitment to excellence and quality, and bearing in mind the great recognition of Siam Park worldwide, Loro Parque decided to consolidate its success with the opening of a second Siam Park in Gran Canaria. Thus, a new proposal was created that already counts, beforehand, with the seal of quality of the Company, and which will consolidate the complementary offer of the Canary Islands as the best in the world. In fact, the project was already considered, from its initial conception, as “of general and strategic interest”, receiving all kinds of support from the Regional Government. The Gran Canaria Siam Park is an important boost for the complementary offer of the south, which already hosts much of the tourism that arrives on the island. In addition, it will help to stimulate other types of business that are linked to these projects (such as hotels, restaurants, transport…), thus consolidating the positioning of the archipelago as a destination of excellence. This new park is a unique project, as it is the first vertical water park in the world. Nestled between exotic subtropical gardens and with a Thai design, its main attraction will be called The Tree of Life and, in addition, it will have one of the largest wave pools in the world and an aquarium crossed by a kamikaze slide. On an area of 180,000 square metres, beaches, rivers, markets, restaurants, towers, temples, a volcano or an amphitheatre will also be built, all with exact reproductions of Thai architecture. However, the Gran Canaria Siam Park has had to face a series of obstacles and impediments that lack any reason whatsoever and, despite having all the permits granted by the Island Council, this project of such importance is currently paralysed by the Municipality of San Bartolomé de Tirajana, the borough that was chosen for its construction. And this despite the fact that, since the project was conceived in 2014, the Loro Parque Company has complied with all the requirements and the many modifications that have been introduced to the project, such as the change in the train’s trajectory, the channelling of the El Veril ravine channel or the placing of archaeological remains in their exact location in the construction. 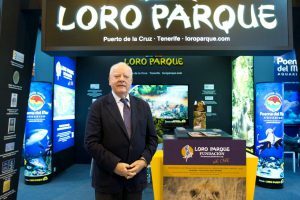 Loro Parque has already stated, on several previous occasions, that it does not share the assessments of the City Council and, bearing in mind that the Company has the backing of the insular and regional authorities; that the courts have proved it right on several occasions throughout the litigation process with the City Council, and that the latter introduces new demands each time that all the formalities are considered to have been overcome, Loro Parque considers that there is a deliberate campaign against its project. For our part, the presentation we make at this event goes to show that Loro Parque is working and will continue to work for Gran Canaria to have the best waterpark in the world, just as we are working to make sure the Poema del Mar aquarium is considered the best in the world. That has always been our commitment to Gran Canaria, something we have already achieved in Tenerife. 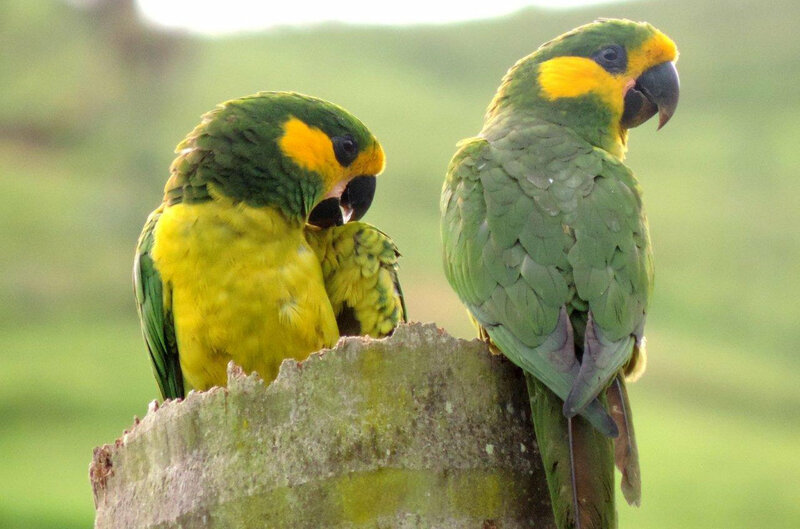 Although more than 8,000 kilometres separate the Canary Islands from Colombia, the Yellow-eared Parrot has a vital link with the Archipelago: the conservation work carried out by The Loro Parque Foundation to protect the species, which has contributed to its successful recovery. This animal has a close relationship with wax palms, Colombia’s national tree, also threatened by cattle grazing and by its indiscriminate use in the celebration of Palm Sunday. Years of research into habitat use, diet, distribution, and reproductive behaviour have provided a solid foundation on the threats to the species and the wax palm, thus enabling a global conservation action plan.